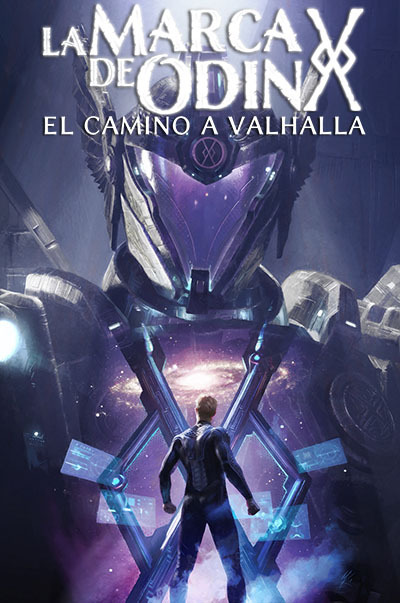 Mark of Odin: Road to Valhalla is not yet available in English. We hope to start the English translation soon in 2018. We will deliver more information when he have news to share. Jack Preston and survivors from #DisasterSeville try to rebuild their lives and put together all the puzzle pieces. Why were they attacked? Who were these aliens and their saviours? It's Earth still in danger? Who is behind the misterious vanishings after the battle? It's all connected? Meanwhile, Luis will awake in Valhalla spaceship confused and surrounded of unknown people that will threat him as a god reborn. He will have to take a long journey across the galaxy. An epic path that will take him to discover not only who is the Valkyrie's Order, the Borean Federation and the terrible Hekkar, but who is he really and which one is his role to save mankind before the end of times, before Ragnarok.